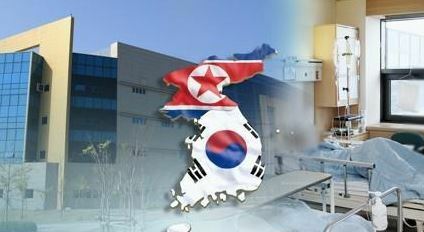 South Korean scholars said Friday that they will push forward with a plan to publish a dictionary for medical terminology used by the Koreas in an effort to bridge differences in language usage. Members of the Inter-Korean Foundation for Health and Medical Education and the Research Institute of Korean Studies under Korea University held a forum Thursday to discuss the issue. Participants agreed on the need to organize terms being used by those in the medical profession that are now considerably different. The difference is the result of the Korean Peninsula being divided for some 70 years, with little exchanges taking place between the two sides. South and North Korea are still technically in a state of war since the Korean conflict (1950-53) ended with an armistice, not a peace treaty. Working to determine the differences and find common ground going forward is, moreover, in line with the incumbent governments' ongoing efforts to strengthen cooperation in the health and medical sector. Observers said the South and the North greatly differ in various medical terms, ranging from the words for clinical depression to a common wheelchair. They said in other cases the two sides use the same words but the meaning has changed, which can seriously deter communication between medical staff and officials to promote exchanges and cooperation.